Why do "Great Books" continue to speak to us hundreds and even thousands of years after they were written? Can they deepen our self-knowledge and wisdom? Are our lives changed in any meaningful way by the experience of reading them? Tackle these questions and more in these 36 engaging lectures. Beginning with his definition of a Great Book as one that possesses a great theme of enduring importance, noble language that "elevates the soul and ennobles the mind," and a universality that enables it to "speak across the ages," Professor Fears examines a body of work that offers extraordinary wisdom to those willing to receive it. You'll study dozens of works, from the Aeneid and the book of Job to Othello and 1984 - works that range in time from the 3rd millennium B.C. to the 20th century, and in locale from Mesopotamia and China to Europe and America. 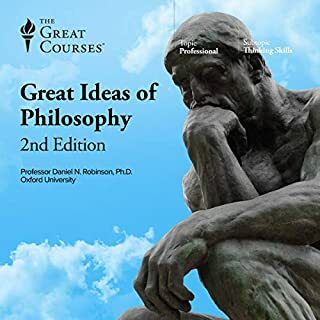 Professor Fears approaches each of these works from an entirely different direction, considering philosophical and moral perspectives that superbly complement a purely literary understanding.Grasping these philosophical and moral perspectives is crucial to the education of every thoughtful person. These works that have shaped the minds of great individuals, who, in turn, have shaped events of historic magnitude. You'll study the underlying ideas of each great work to see how these ideas can be put to use in a moral and ethical life. "History is our sense of the past," Professor Fears says. "And these Great Books are our links to the great ideas of the past. They educate us to live our lives in a free and responsible way." A course that will open you to new ideas. This course is about exploring the greatest books ever written that changed the world. It also explains why they are great and how they affected those around them. Professor Fears is a great lecturer and always keeps things interesting. Each lecture is around a half hour each so great to listen to on your commute or when you have a short time to devote to the lecture. The last lecture goes over the books quickly and talks about the lessons taught and that the best way to pursue knowledge is to open your minds and meditate on each book in order to let what the author is trying to tell you sink in. I highly recommend this class. It opened up a whole new world to explore for me. Having listened to 15 Great Courses over the last couple months, I took this course with a little trepidation, largely based on the mediocre Teach Company reviews. Yet something strange happened right from the first lecture: each book was fascinating, his lecture style became more contagious, and most importantly, I began to see the crucial importance of his underlying messages. 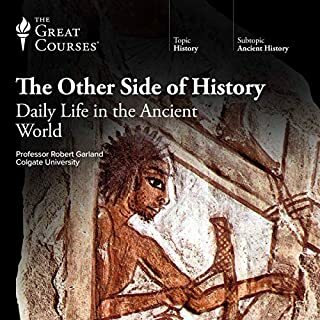 The first statement of the course title is pretty clear cut and these books have accomplished the claim of making history because they're still around (much to the dismay of many students) hundreds...thousands of years after being written. I can make no universal claims for the second part of the title but I can speak for myself--this part was true as well. Similar to the way I felt after reading the last (to date) of George RR Martin's Song of Fire and Ice series, I grieved to be done with this course. What could top this, I wondered? Thankfully, J Rufus has several titles to choose from, so all is not lost. I loved this course and am wiser for it. I thought J Rufus was at his best--and most endearing--when summarizing a story by providing the voices of its pivotal characters. His drawl and enthusiasm was comical, fun and surprisingly effective in demystifying and contemporizing often ancient characters...so the Gilgamesh lecture was particularly enjoyable. What does Professor Rufus J. Fears bring to the story that you wouldn’t experience if you just read the book? J Rufus takes 30+ books and weaves the strands of their shared virtues, overarching themes, and contemporary relevance into critically important message for today's society. That would be a tough feat to duplicate by reading any one, two or dozen of these books on my own. 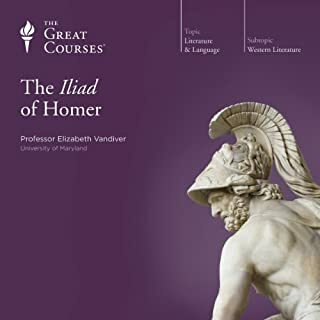 By experiencing J Rufus's course as a whole, I came to understand that so much of what is portrayed in this course seems to be missing--though is seemingly not missed--from our 21st century. Yes it was since I got a wikipedia style introduction to some great books. That question is not applicable amazon! Why don't you just let us write free style reviews? What three words best describe Professor Rufus J. Fears’s voice? Southern drawl. I was amusingly distracted by his pronunciation of "dooty". Was Books That Have Made History: Books That Can Change Your Life worth the listening time? I liked the treatment of the non-fiction books better than that of the fiction. For example, discussion of Othello, 1984, All is quiet on the Western front etc was nothing more than a dramatic rendering of the summary. What I expected to hear more was a discussion of the underlying themes. For the non fiction works such as the works of Winston Churchill or Gandhi, the treatment was much better. All in all, it was an average course. I do not regret listening to it, but I was not enthralled by it either. 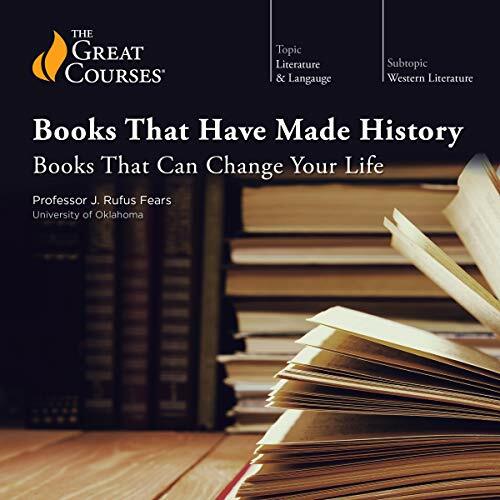 An irony of Fears lecture series about “Books that can Change Your Life” is his most revered historical figures, Confucius, Socrates, and Jesus, never wrote a book. He thematically presents a story that argues these three figures are witnesses to the truth. Fears believes Confucius’s, Socrates’, and Jesus’s truths have been played out and proven over centuries of writings and doings. Those writings and doings are recorded in secular and religious texts that range from Homer, to Plato, to the “Bible”, to the “Koran”, to “The Prince”, to Winston Churchill, and Aleksandr Solzhenitsyn. This is only a smattering of the many books Fears talks about in his lectures. Fundamentally, one takes from Fears lectures, a belief that to live life well one must internalize a moral compass and have courage to follow truth in seeking justice, regardless of its cost to your person or possessions. And finally, one should live life in moderation, neither in excess or deficiency. I loved this course. As a literature major, I had read many of these books in college, but this has made me want to read the ones I’ve missed. Rufus J Fears is a great storyteller! I would like more courses like this one. The performance is very good, though. Lots of passion for the material. 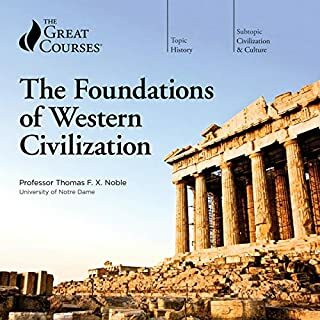 Mostly centered around Western values, with a few token efforts to mold Eastern thinking into the Western "canon" of antiquity. Still enjoyable, despite the caveats, and a very decent intro to the material. I listened to this almost straight through over several days. One theme/arc is about what great teachers from the past can tell us about how to live and face death. I don't know much about Dr. Fears' circumstances at the end of his life but his three-word conclusion at the end jibs with our American way of facing end-of-life issues. I may well listen again and again and, no doubt, get other insights. What other book might you compare Books That Have Made History: Books That Can Change Your Life to and why? Wow! Excellent lectures on literature but also on history and ethics. I learned so much from this man and he has inspired me to search further. I especially appreciated the last few lectures. They really spoke to me. I highly recommend this series. Professor Rufus was an enthusiastic and somewhat lively narrator, but the problem relies in his conception and canon, limited by his own views. Instead of analyzing great books and quenching our thristy to read them, he decides to tell the story in his own words, what is silly and defeats the whole purpose of the course. Scarce details are given about the central ideas, often misguided. 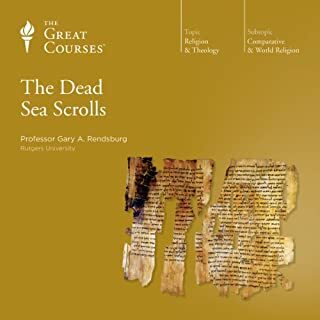 For instance, troubled by the fact that Gibbon blames extensively Christianity for the fall of the Roman Empire, pious professor Rufus drops it all - for him, the book gives as the main reason the failure to deal with conflicts in Middle East, which is a puzzling interpretation. To be precise, his canon is a mess (Gettysburg Address, Gulag Archipelago and Chirchill's Memoirs steal the place that could belong to Balzac, Proust, Marx, Rousseau, Descartes, James Joyce...). If you want to save the work (and pleasure!) 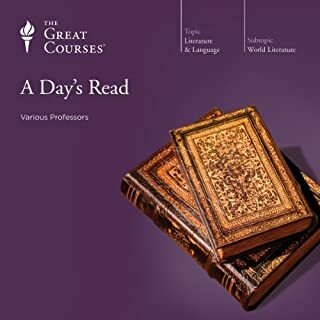 of reading great books, pick this course; he is a passable narrator. Otherwise, most of the books are in public domain; by all means read/listen to them and seek a better analysis (or read Wikipedia). Educational and entertaining. The author obviously knows his subject and speaks it well. Easy to hear yet informative. Good Audiobook. Lots to mull over here. Cicero, Ghandi, Churchill, Homer, Dante, Lord Acton ... the message from a rich cast of literary stars seems to be - know yourself and don't give up. Either on yourself or your dreams. Dr. Fears shares a lifetime of study and consideration over how great books have spoken about timeless themes for humanity.